By AJ Nelson. 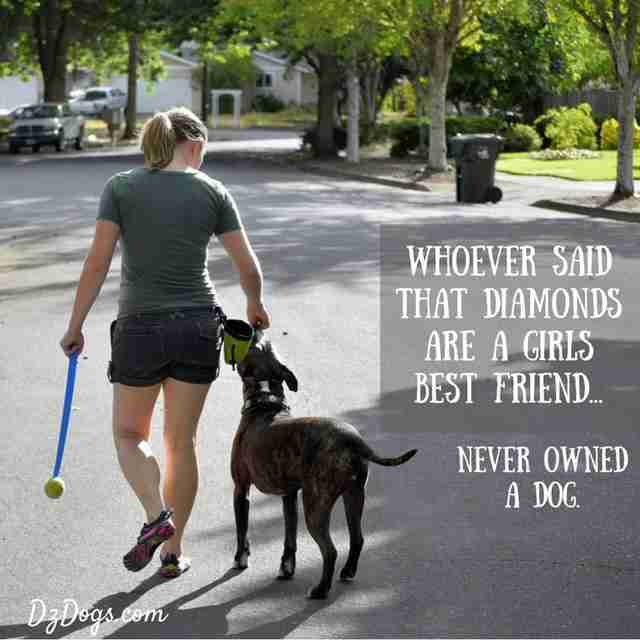 "Dz Dog Mom"
A strong relationship is built on a foundation of mutual trust, respect and devotion. Dogs have different personalities just like humans do. One thing that I think is very important is choosing the right personality that best fits your family when you are looking for a dog. This sets you up for success in the long run. In adopting Dante and Ziva we were looking for very specific personality traits and they've been amazing! We adopted Ziva knowing she had some anxiety issues we would be working through with her. The key is working with her. The best advice I can give someone with a nervous or anxious dog is to keep working with them. Don't give up! Don't push them too hard yet either. In Ziva's case she trusted us, as long as she wasn't panicking or trying to run away we slowly kept exposing her to the things she was wary of. This is essentially threshold training, you bring your dog as close as you can while maintaining a positive experience until their discomfort causes you to back off - but only as far as you must. Slowly over time you build up to being closer to objects, and increasing your time spent around them. All the while praising your dog and rewarding their bravery. Not many people fully experience a strong relationship with their dog, if you have experienced it you know it is addicting and wonderful! Dog's are truly amazing creatures, and they can teach us soo much. Every time you work with your dog you are either strengthening or weakening that bond. If you hit, kick, scream, use a shock collar or other pain causing device, you are damaging your relationship. Rewards, praise, time spent together, and training builds up your relationship with your dog. If you allow your dog to rule the house, no discipline, no training, they drag you on a leash ... you are not actually building a relationship their is no mutual respect or teamwork involved, in fact most likely no relationship really exists, except in your mind. As far as your dog is concerned you are the bringer of the food, you've barely scratched the surface of what your relationship could be. Dogs are a lot of fun! But you have to be willing to work at it. How to build your relationship with your dog. 1. Spend quality time together. Just like with another person, spend time together. Get off your phone, put it away. No texting either! Building a relationship means sharing experiences. Just go out and play, or walk, look at the trees together. Watch birds, run around in your backyard, be silly with your dog. Rub their belly, or scratch their favorite spot - you know right where it is. Ziva loves her ears being rubbed. Even grooming your dog can be quality time - take your time, don't be in a hurry. 3. Be a clear communicator.Everyone hates a misunderstanding, keep your words consistent. Hubby and I are consistently checking in with one another regarding what vocab/signals we are using. When you say, "stay," mean it. Practice it, work it in different scenarios. 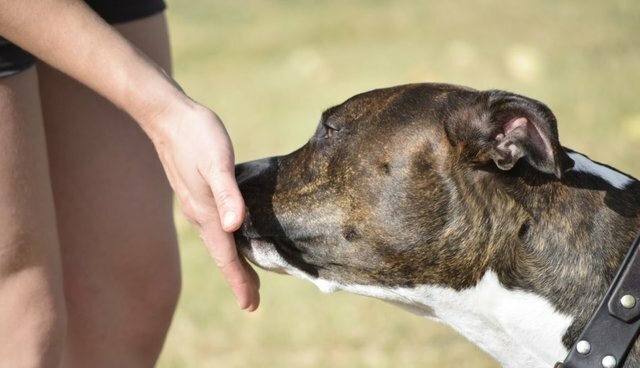 Be consistent with your signals too, in agility I've noticed dogs get frustrated if their handler is not clearly signaling what is to be done, and then the handler gets frustrated because the dog isn't doing what is being asked! I've noticed the Australian shepherds seem to do it the most - they tend to jump, bark, whine, and mouth at their handlers clothing when frustrated during training sessions in our class.4. Care about your dog's health.Tasty food shows you care, but don't care so much to the point of obesity please! Exercise your pup, a healthy dog will live a longer, happier, healthier life. Pay attention to their body, watch your dog's feet, check them thoroughly after hikes for ticks or injuries. The more you care for your dog, the more they trust you and the more likely you are to notice and catch the beginning stages of a medical problem. 3. Be a clear communicator.Everyone hates a misunderstanding, keep your words consistent. Hubby and I are consistently checking in with one another regarding what vocab/signals we are using. When you say, "stay," mean it. Practice it, work it in different scenarios. Be consistent with your signals too, in agility I've noticed dogs get frustrated if their handler is not clearly signaling what is to be done, and then the handler gets frustrated because the dog isn't doing what is being asked! I've noticed the Australian shepherds seem to do it the most - they tend to jump, bark, whine, and mouth at their handlers clothing when frustrated during training sessions in our class. 3. Be a clear communicator. 4. Care about your dog's health. www.DzDogs.com">Photo: DZDogs.com5. Don't get angry at your dog.Yes, your dog may know that the did something wrong. But maybe in the heat of the moment they were overwhelmed and that rug that they ate represented a mighty dragon they were fighting in a fierce battle over the house! Just kidding ... but seriously awesome relationships are not built on a foundation of yelling, screaming, and anger. Never hit your dog, or punish them just because your are mad - that is you taking your frustration out on your dog, you are not actually teaching them anything in this case. 6. Find out what drives your dog.Dante loves to tug, we've been revisiting his recall training because it was getting sloppy. We were spending so much time training, and working with our foster Jack, that poor Dante was getting playtime but no training himself.He started to ignore us when we called, and he quit checking in (giving frequent looks in our direction) be it on a walk or off-leash. Well this led to no more off-leash time; he could no longer be trusted. It isn't that your dog is bad though, they need practice. Our bond was clearly slipping. Your dog needs to find you to be the most fun thing around! Practicing re-call with Dante we would take his favorite tug toy, hide it in our jacket, let him sniff about but not get too far. Then yell, "Come!" And whip out his toy!He quickly figured out that sticking nearby was worth it if it meant he could play. Working with him several times a week has really helped his recall. We also hide pieces of hot dogs, and cheese in our pockets. When he comes when called, he is rewarded. Photo: DZDogs.comWhen we're out on a walk, every time he looks at me I reward him for checking in, and in just two weeks we've noticed a huge difference in his attentiveness.Flyball has also really helped with Dante's attentiveness!7. Consider learning a sport!There is a sport for every dog, barn hunt, scent work, dock diving, lure coursing, agility, flyball ...I would highly recommend looking into classes in your area. Sports are a great way to strengthen your relationship, socialize, and get out and have fun with your dog! Not to mention you're surrounded typically by other awesome dog people.Remember, while training is important it isn't everything. 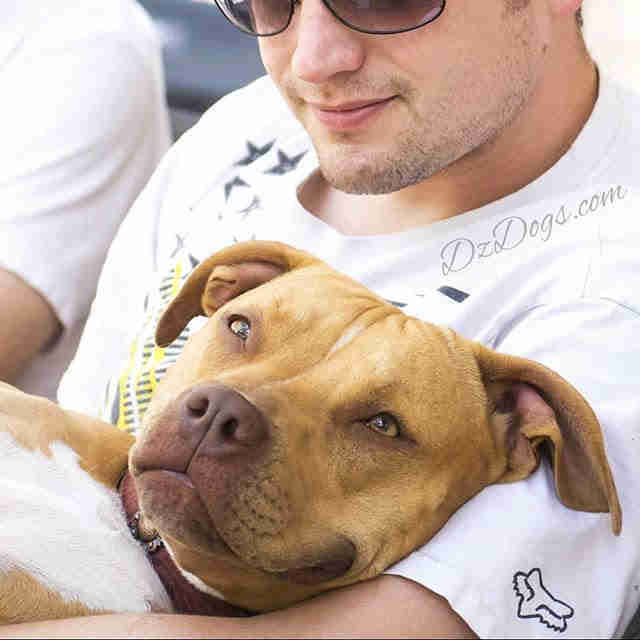 Your dog should find you to be fun, they should desire to come back to you because they know you represent positive rewards as opposed to punishment.How do you build your relationship with your dog?To hear more, visit us at: www.DzDogs.com. www.DzDogs.com">5. Don't get angry at your dog.Yes, your dog may know that the did something wrong. But maybe in the heat of the moment they were overwhelmed and that rug that they ate represented a mighty dragon they were fighting in a fierce battle over the house! Just kidding ... but seriously awesome relationships are not built on a foundation of yelling, screaming, and anger. Never hit your dog, or punish them just because your are mad - that is you taking your frustration out on your dog, you are not actually teaching them anything in this case. 5. Don't get angry at your dog. 6. Find out what drives your dog.Dante loves to tug, we've been revisiting his recall training because it was getting sloppy. We were spending so much time training, and working with our foster Jack, that poor Dante was getting playtime but no training himself. 6. Find out what drives your dog. He started to ignore us when we called, and he quit checking in (giving frequent looks in our direction) be it on a walk or off-leash. Well this led to no more off-leash time; he could no longer be trusted. It isn't that your dog is bad though, they need practice. Our bond was clearly slipping. Your dog needs to find you to be the most fun thing around! Practicing re-call with Dante we would take his favorite tug toy, hide it in our jacket, let him sniff about but not get too far. Then yell, "Come!" And whip out his toy! www.DzDogs.com">He quickly figured out that sticking nearby was worth it if it meant he could play. Working with him several times a week has really helped his recall. We also hide pieces of hot dogs, and cheese in our pockets. When he comes when called, he is rewarded. When we're out on a walk, every time he looks at me I reward him for checking in, and in just two weeks we've noticed a huge difference in his attentiveness. Flyball has also really helped with Dante's attentiveness! 7. Consider learning a sport! I would highly recommend looking into classes in your area. Sports are a great way to strengthen your relationship, socialize, and get out and have fun with your dog! Not to mention you're surrounded typically by other awesome dog people. Remember, while training is important it isn't everything. Your dog should find you to be fun, they should desire to come back to you because they know you represent positive rewards as opposed to punishment. 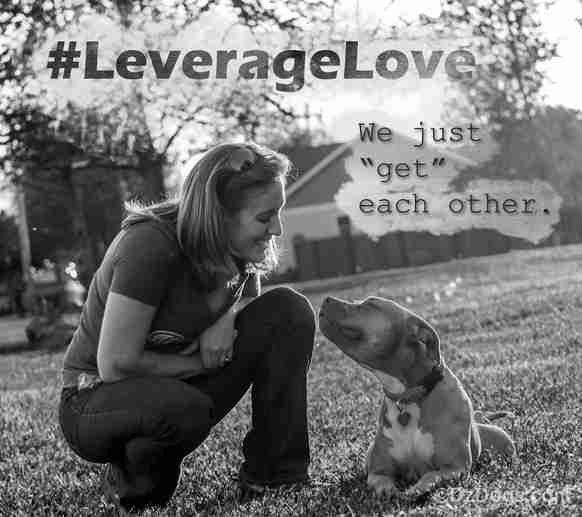 How do you build your relationship with your dog? To hear more, visit us at: www.DzDogs.com.